You have to be really close to someone before you open up a joint bank account with them but how close do you have to be to apply for a joint car insurance plan? You also have to entrust your partner or your family member when you’re both named insureds on the policy. Not everyone is eligible for joint car insurance and not everyone needs it. If you and the members of your household own two or more cars, setting up a joint car insurance plan could save all of the parties involved money. Make sure that you fully understand how joint insurance plans work so that you know all the benefits and the risks. Don’t wait to compare plans. Enter your zip code above and review three to four policies. What is a joint car insurance policy? What are the benefits of joint car insurance? – How do you save money when you buy joint coverage on two cars? – How is carrying joint insurance more convenient? Can you qualify for other existing policy discounts? The term joint insurance is also used to describe a multi-car policy. The difference between a standard multi-car policy and a joint policy is who owns the vehicles. When you buy joint insurance, the cars that are insured on the plan have different legal owners but they aren’t married. Since there are different names on the registrations, both policyholders will be listed as named insureds. Joint coverage can be risky because some companies feel like it creates a risk. When there are ‘too many cooks in the kitchen’ there’s always the risk of things getting a bit hairy. That’s why there are still traditional companies that will only sell a single policy to multiple vehicle owners if they’re legally married on paper. You’ll have to shop around to find a company with lenient guidelines. You might wonder why it’s even worth it to sift through all of the underwriting criteria to find a few providers that sell joint policies but it is. There are several advantages to carrying insurance on two cars under the same plan. Some of the benefits of financial and others are related to convenience. For most policyholders, the biggest benefit when you’re building your policy is saving money. If you have the option to buy joint insurance as opposed to an individual plan, you’ll save a huge chunk of money. The reason for the savings is because a multi-car discount will be added to each car. It could drop your total premium. Every company sets rates and algorithms. The formulas help the company set rates by the person and by the unit. How much you pay for a unit of insurance is different from how much another person pays. Not only does this price vary, but the amount you’ll save will vary depending on your total rate and the carrier that you’re with. The average company will apply a discount of 10 to 25 percent off of the car’s total premium. It’s not just a single discount, but two different discounts on two different cars when you are paying for a two-car policy. Be sure to look for the biggest discount if the price is your most important sales point. If you and your boyfriend are cohabitating and sharing the bills, it’s a lot more convenient to pay a single insurance bill instead of two different bills. Not only do you make just a single payment, you don’t have to remember several different due dates. Remembering fewer dates means there’s less of a chance that you’ll be late on your bills. When both vehicle owners already have existing insurance and they’re contemplating canceling one policy, you have to look at the discounts that each policy has. When you get joint insurance on an existing plan, the policy discounts that the primary insured already has will spill over onto the new car. 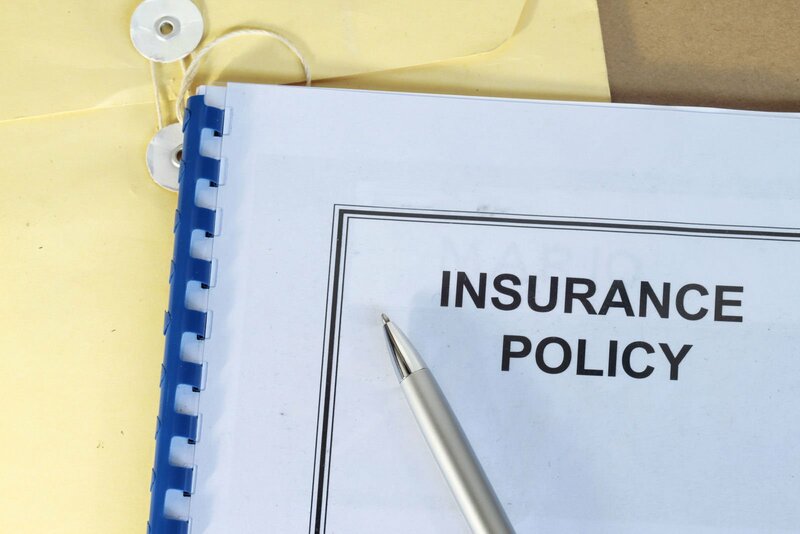 Structuring a joint insurance policy can be tricky. In some states, the state wants to see that name on the policy the same way as the name appears on the registration. When you have two named insureds, that’s tough to do. That’s why you will have to list both names with an ‘or’ separating them. This also makes it easier to cash claims checks when there’s an accident. You might not have the same last name as the other named insured on your policy, but there are still some requirements that must be met. The primary requirement is that both of the two cars have to be primarily garaged at the same address. If the two joint policyholders live at different residences, they need separate insurance policies. You don’t have to be married to someone to buy insurance with them. If you and your partner want to save money on your insurance and you don’t want to lower your limits, consider combining policies. Get online quotes for both cars under one policy then, compare these quotes to your existing coverage and make a choice. Enter your zip code below to get started.